The flashback is a crucial moment in a film narrative, one that captures the cinematic expression of memory, and history. This author’s wide-ranging account of this single device reveals it to be an important way of creating cinematic meaning. 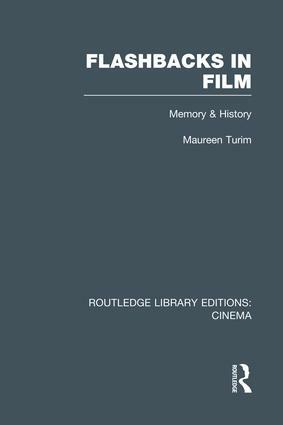 Taking as her subject all of film history, the author traces out the history of the flashback, illuminating that history through structuralist narrative theory, psychoanalytic theories of subjectivity, and theories of ideology. From the American silent film era and the European and Japanese avant-garde of the twenties, from film noir and the psychological melodrama of the forties and fifties to 1980s art and Third World cinema, the flashback has interrogated time and memory, making it a nexus for ideology, representations of the psyche, and shifting cultural attitudes.